The Steering Committee consists of nine members, elected to represent the 56 states and territories enrolled in the State Data Center Program. Three members’ terms end each year, and three members are elected (or re-elected). We have vacancies due to departures of long-serving members. And nominations are now open! Nominate yourself, or someone else! 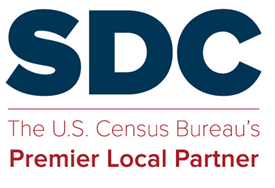 We are looking for SDC network colleagues who are motivated to serve the data user community, partner with the Census Bureau, and represent our States’ interests in Census. Employees of SDC Coordinating Agencies and State Lead Agencies are all eligible. New Steering Committee members elected this winter will begin their terms in February. This will be an in-person meeting at Census Bureau headquarters; the Census Bureau fully covers Committee Members’ travel expenses. For the brief biography: Where does the nominee work? Any special professional interests? Relevant related professional or program roles? What special perspective or goals would the nominee bring as a Steering Committee member? If you are nominating yourself, please answer all questions. If you are nominating someone else – with their permission – please answer questions 1 and 2. Please e-mail complete nominations to Todd Graham (todd.graham@metc.state.mn.us) by December 22, 2018. If you are elected to the Steering Committee, you are signing up for monthly Steering Committee conference calls, and an expectation of volunteered time on committee initiatives, webinars, and other small projects. Before nominating yourself, determine whether you have the time and job-flexibility to contribute. Steering Committee members need to work for organizations that support these time commitments. There are also three trips a year for in-person meetings, usually in February, April, and late summer. These trips are usually 3 days. The Census Bureau fully covers Committee Members’ transportation, hotel and per diem expenses. The Steering Committee election will be held in January. Every State Lead Agency will have one ballot to cast. Nomination directions are above. Additional details on Steering Committee eligibility, term, and election can be found in the SDC Steering Committee By Laws, section 4. The Steering Committee consists of nine members, elected to represent the 56 states and territories enrolled in the State Data Center Program. Per SDC Steering Committee By Laws, section 2. the Steering Committee advises the Census Bureau on the administration of the State Data Center Program; assists the Census Bureau in supporting decennial censuses and other surveys and programs; works with the Census Bureau to plan and conduct the Annual Training Conference; and improves the flow of information and ideas among member agencies and between member agencies and the Census Bureau. In plain language: We’re here to serve the data user community, partner with the Census Bureau, and represent our States’ interests in Census. If you have any questions, please contact Todd Graham or any member of the Steering Committee.